Providing you the best range of audio video installation and repairing service with effective & timely delivery. 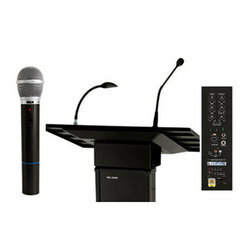 For cater the needs of clients, we are engaged in offering Audio Video Installation and Repairing Service. Along with this, we offer Bosch, Ahuja Public Address Systems Installation and Repairing Service with the support of our professionals. Moreover, we offer this installation and repairing service to our clients at market leading prices.